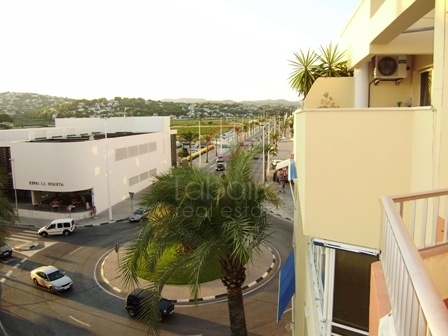 Commercial for sale in Moraira, with two heights of 75m2 per floor with interior staircase. Ground floor with bar, kitchen, two toilets, living room and terrace. Upstairs with terrace and sea views. Parking. The place is sold fully furnished. 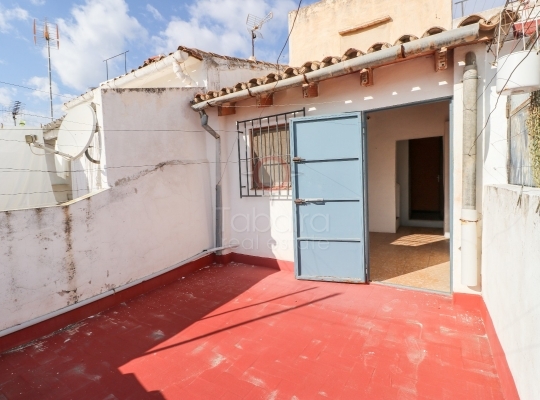 Many inhabitants of the north and the center of Europe have the illusion of buying property in Moraira for sale to enjoy long seasons of holidays, sun and beach. 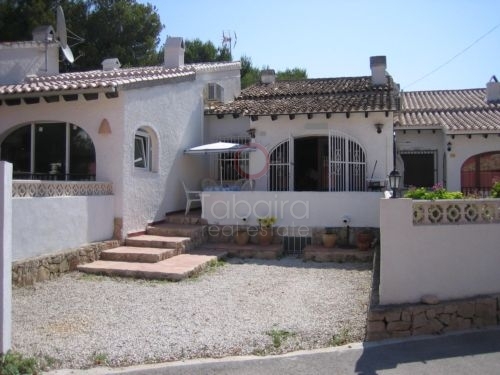 Now we offer you the opportunity to acquire a property in the beautiful town of Moraira on the Costa Blanca North. Long ago Moraira was a small fishing village located in the Spanish east. Due to its beautiful coastline and its magnificent climate, in the last forty years it has undergone an enormous urban development, building beautiful and varied urbanizations around the urban core. At present it has become the place of habitual residence of many inhabitants of other countries of Europe, who come to Spain in search of a pleasant and sunny climate. For this reason, sixty percent of the residents of Moraira belong to other nationalities. 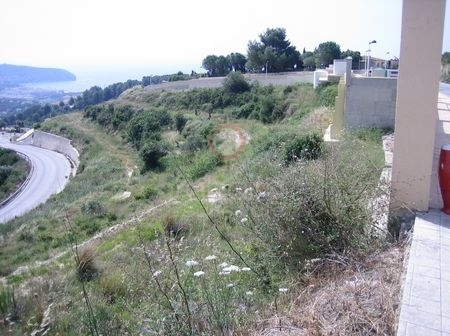 We propose that you acquire in Moraira property for sale to enjoy its wonderful and diverse landscape. In Moraira you can choose mountain landscapes and live surrounded by Mediterranean pine trees. The refreshing aroma of pine is ideal on hot summer afternoons when we look for its lush shade to shelter from the sun. Imagine yourself in your villa surrounded by greenery from where you can observe the spectacular views that the Mediterranean Sea offers. This is the ideal place to live if you like to live a relaxed and healthy lifestyle, enjoying nature and discovering beautiful landscapes, flora and fauna. Perhaps you like more the bustling atmosphere of the beach, the chiringuitos and the leisure places that are located in the Paseo Marítimo. In that case, we offer you great apartments at the foot of the beach to enjoy the sea at any time of the year. What are the advantages of buying Moraira property for sale? 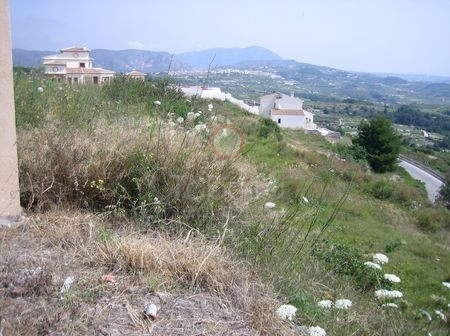 Buying in Moraira property for sale is an excellent option. You will live comfortably, in a relaxed environment and you will have all the necessary services. 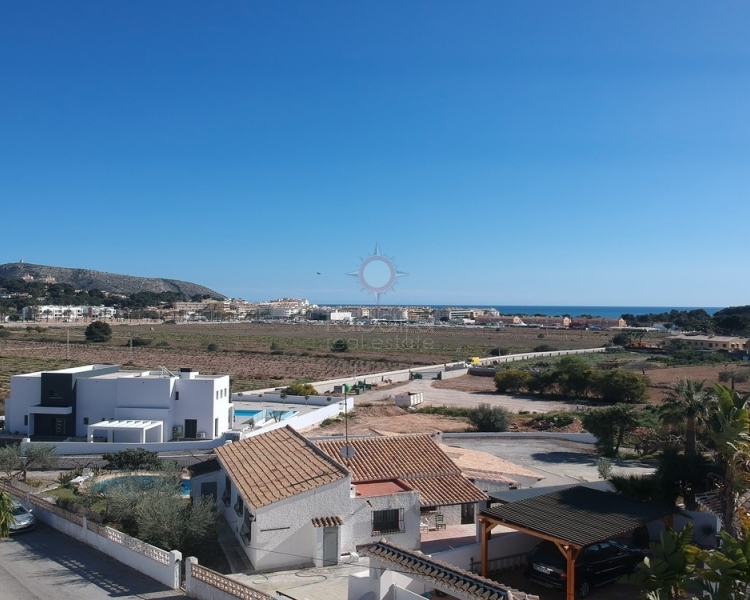 On the Spanish Costa Blanca there is an excellent network of national roads and highways that will quickly and conveniently bring you to the main cities in the area as well as to the international airport of Alicante. You will be pleasantly surprised when you see the great influx of flights with the main European capitals that are daily at the airport. Also, other advantages to highlight if you acquire a property for sale in Moraira, is the large number of services that the town offers you. You have a brand new health center, a variety of shops, shopping centers, pharmacies and, of course, you can find all articles related to the beach, such as swimsuits, bikinis, sunglasses, beach towels, hats and cream sun protection, easy to transport parasols and hammocks, etc. Of course, in Moraira you have a spectacular offer of leisure and culture. It is common to find live music venues for all ages, flamenco, tapas bars, cafes and on summer nights outdoor music concerts are organized next to the sea. Can you imagine by the sea listening to live music until dawn? These are the pleasures that the Costa Blanca offers you and you can not give up. 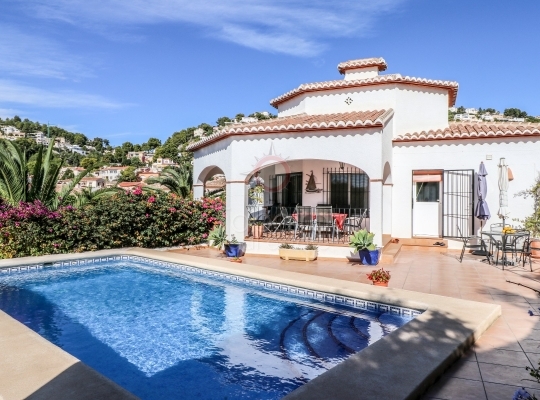 We have an extensive portfolio of homes on the Costa Blanca. 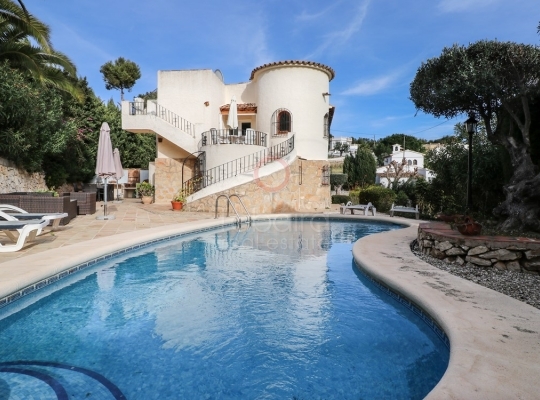 We offer you in Moraira luxury property for sale with extraordinary views of the magical coves of turquoise blue sea that are in the environment. Our properties have spectacular views of the dreamlike corners that this unique coastline offers us. It is also interesting to note that for lovers of hiking or cycling in Moraira you will enjoy magnificent well-marked routes and with explanatory signs of the flora, fauna and history of the place. If you are fond of photography, you will be delighted with the many wonderful corners you will find and the extraordinary views you will see from the different viewpoints that you will find along the beautiful routes you take. Acquiring property in Moraira for sale is the best option for sea, water sports and beach enthusiasts. You have a wide variety of environments to choose from. If you wish to hire the mooring of your yacht or rent a pleasure boat, you have the Moraira Yacht Club, where you can have fun doing many water activities. The waters of the Moraira coves are ideal for scuba diving or snorkeling and discover its marvelous seabed. You can also have fun practicing other disciplines, such as canoeing, rowing, sailing, etc. Can you imagine doing a fun excursion in kayak and enjoying a totally different perspective of the coastline? But if what you like the most is to relax on the golden sands of the beach while listening to the murmur of the waves of the sea, then Moraira is your best choice. You will find pretty coves or small semi-urban and sparsely populated beaches where you can relax and enjoy the sun at any time of the year. If you choose to buy Moraira property for sale, we wait for you in our offices to finalize the details of the purchase. Previously you have had the opportunity to check our professionalism and experience. Our real estate agents will treat you with kindness and closeness. Since they are multilingual, you will not have any communication problems. We will understand you perfectly and we will help you understand the various documents related to the purchase of a home in Spain. Do not hesitate to ask us any question related to the purchase of your new home. Our long experience in the sector, as well as our extensive training, we put at your service to help you make the purchase process convenient and fast. We can advise you on a long list of issues, such as currency exchange, processing of the NIE or residence permit, opening a bank account in Spain, domiciliation of taxes and housing supplies, hiring life insurance, health, housing or automobile, etc. To contact us you have several channels. You can fill out the contact form that appears on the web or send us an email to info@tabairarealestate.com. 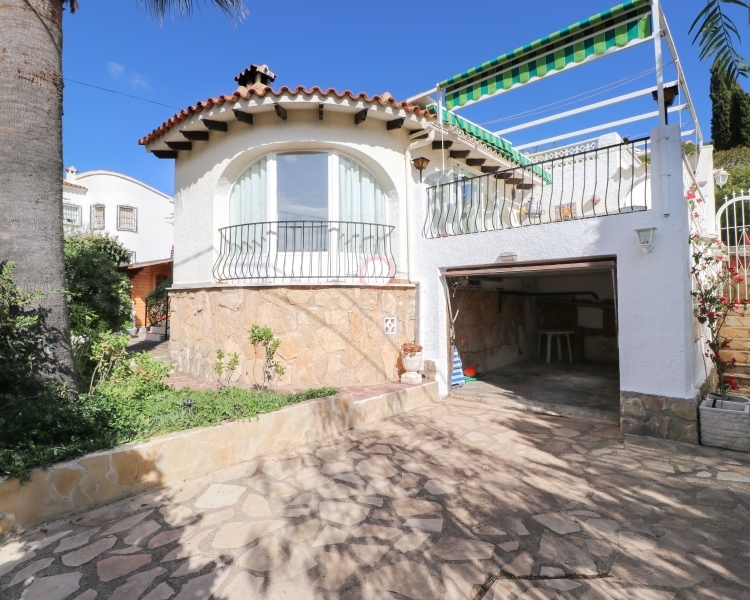 You can also chat with us on Skype: tabairarealestate1 or call us at +34 965 744 179. We will be happy to receive you personally at our offices located at Calle Iglesia, 4 - 03724 Moraira (Alicante) Spain.